After more than 40 years of combined experience in the restaurant industry, the Sharps know the business. Eighteen of those years have been spent right here on the Outer Banks crafting epicurean delights. And the couple, with Grant (Le Cordon Bleu, Paris, France graduate) as head chef, have an unwavering commitment to providing foods made only from scratch, using only the freshest, all-natural ingredients that are sourced both locally and imported. “We use only "King Arthur" unbleached and unbromated flour to make our dough fresh daily, which is completely vegan friendly,” Natalya says. “And we make our pizza sauce and marinara using only "Stanislaus" vine-riped tomatoes from California that go right from the plant to the can in less than three hours.” Max’s Pizza shreds its all-natural "Bacio" mozzarella cheese daily. The cheese, made from only milk and enzymes, is a blend of whole cow milk mozzarella and buffalo milk mozzarella. The Sharp’s commitment to authentic, fresh food doesn’t end there. All the vegetables at Max’s Pizza are fresh and cut in house and the bread is baked locally by Proof Bakery daily. 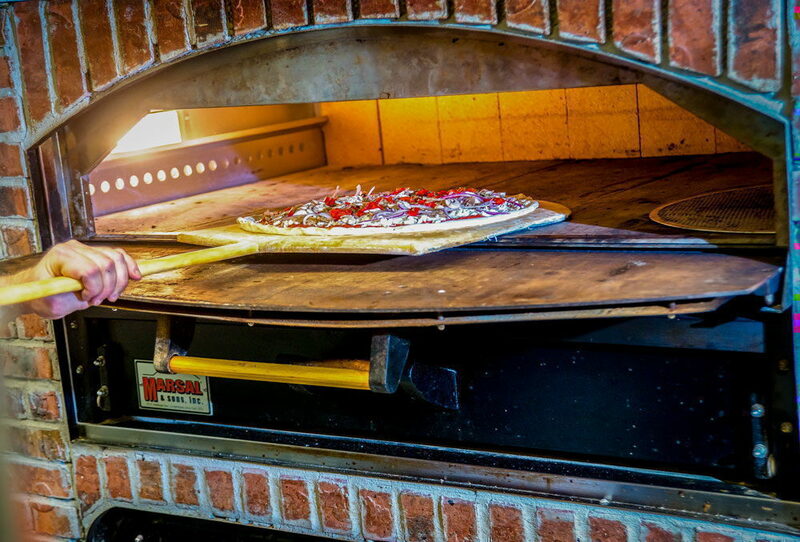 Max’s Pizza Company’s New York style pizza, along with its calzones and stromboli are baked to perfection in a “Marsal & Sons” stone oven deck. And Max’s Pizza Company isn’t just about great pizza. Customers won’t be able to resist popular menu items crafted right in the restaurant, including mouthwatering meatballs, lasagna, manicotti and house-roasted Italian sausage. Other favorites include homemade mozzarella sticks, fresh-pressed paninis and a variety of oven-baked subs, as well as homemade soup, fresh salads and scrumptious desserts. 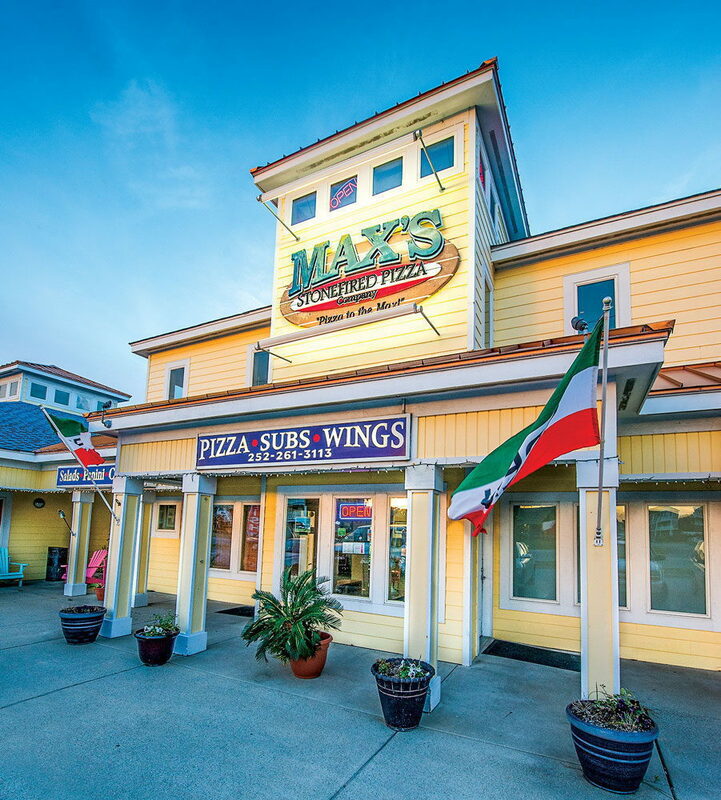 There’s no doubt that once you experience the great food, fun atmosphere and welcoming staff, Max’s Pizza Company will quickly become a family favorite. to Kitty Hawk, Southern Shores & part of Kill Devil Hills! 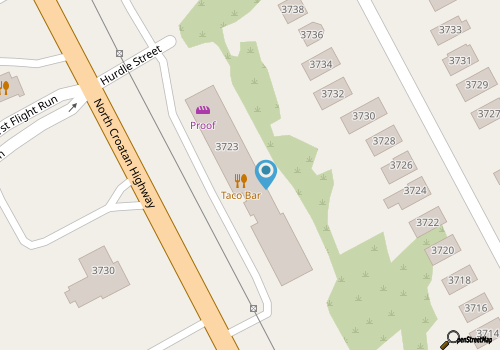 Call 252-261-3113 for current hours.